I recently started attending our Monday sessions at the Herne Hill Velodrome. I have HNPP, a disorder of the nerves that causes muscle weakness, arm weakness and numbness in the fingers. In order to continue to exercise and remain active, I tried swimming, but blacked out whilst doing this. My neurologist told me that swimming wasn’t going to work for my, but that cycling might help with my condition. I had previously tried to learn to cycle on a two-wheeled bicycle but my progress was extremely slow. Some children had laughed at me in the street while I was learning, which made me very discouraged and I gave up. 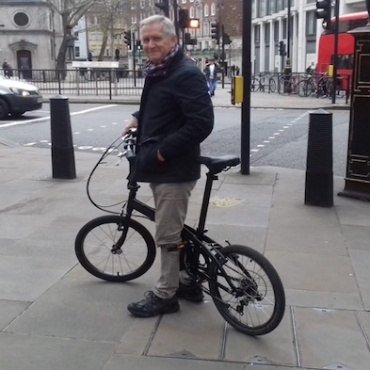 As I was unable to ride a standard bicycle, I was considering buying a tricycle, but had no idea how to test one out to see if it was right for me. 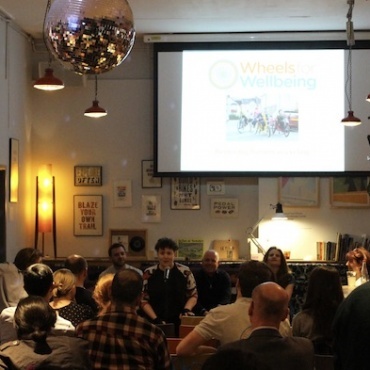 It was then that I found out about Wheels for Wellbeing, and I haven’t looked back. I normally start with a couple of circuits of the track on a trike, before practising riding a two-wheeler to improve my balance. I like the fact that Wheels for Wellbeing sessions give me the space and freedom to try out cycling on two wheels without worrying about traffic. 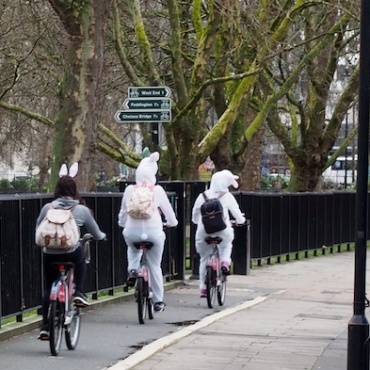 I found it difficult to find somewhere I could actually test out and practise in a safe environment on a cycle. 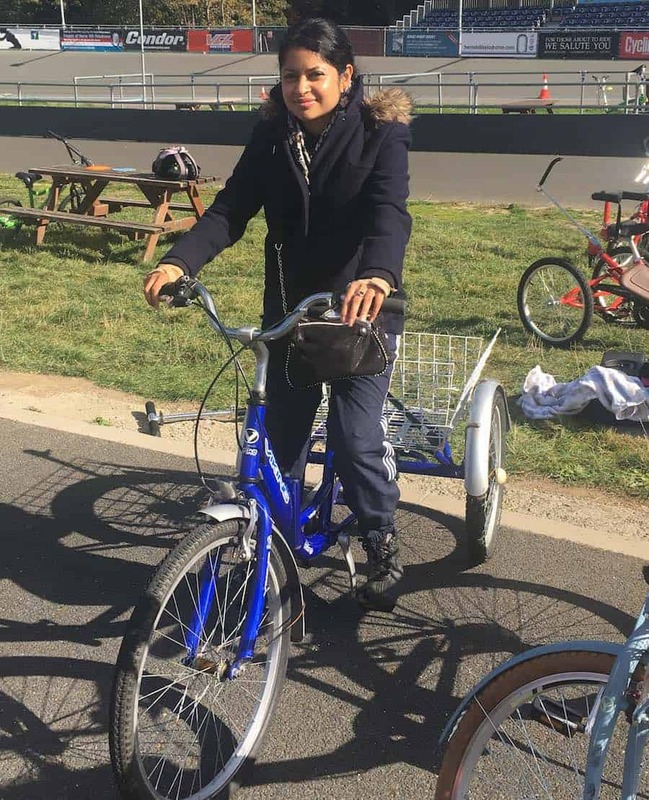 Coming to Wheels for Wellbeing has made a massive difference in terms of my confidence, and also in having the freedom to cycle. I can’t imagine what I’d do without it!